Michael A. Shaffer is a lifetime resident of Williams County, Ohio. He was reared in the Village of Stryker and graduated from Stryker High School in 1983. After high school, he attended Bowling Green State University obtaining a Bachelor of Science in Business Administration in 1987. He furthered his education at the Toledo College of Law. He received his Juris Doctorate in May of 1990 and was admitted to the Ohio Bar in November of 1990. He was admitted to practice in the Federal Courts in 1991. 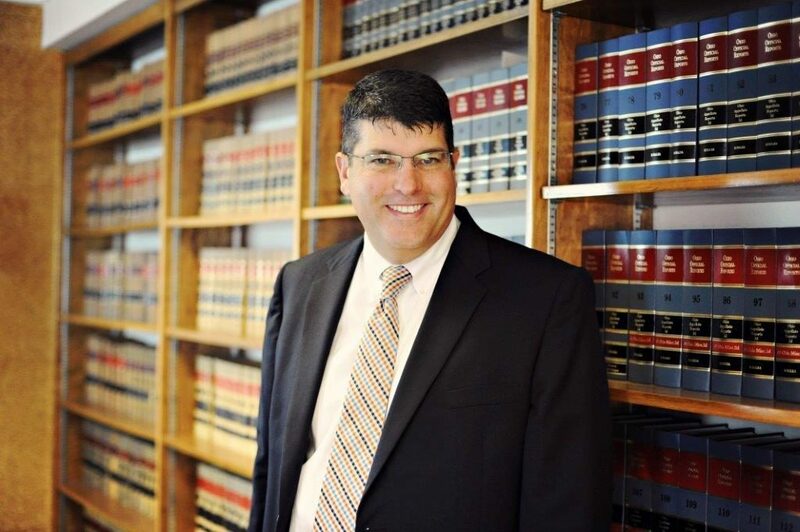 His professional career began as an associate with the law firm Newcomer, Shaffer, Spangler and Bird in 1990. He was named a partner with the firm in January of 1995. Michael is a member of the Ohio State Bar Association and Williams County Bar Association and has served the Associations in a variety of capacities. He is a past member of the Ohio State Bar Association’s Counsel of Delegates and serves as a member of the Ohio State Bar Association’s Judicial Election Campaign Advertising Monitoring Committee. He is a past president of the Williams County Bar Association. As with many small town lawyers, Michael maintains a varied practice. He is an experienced trial advocate, having tried criminal and civil cases in numerous courts in six different counties in Northwest Ohio. He is a licensed title agent and heads the firm’s real estate department as managing member of the Title Company of Northwest Ohio, LLC. He maintains a busy estate planning and probate practice. He also handles personal injury, worker’s compensation, and family law cases. In his family law practice, Michael strives to resolve cases with civility and professionalism in order to inflict the least possible harm on the family. Mr. Shaffer and his family reside in the City of Bryan where he is active in many community projects. He is a member of the Bryan Area Foundation and has served as an officer and committee member. He is President for the Board of Trustees for the St. Patrick’s Catholic School Education Endowment. He serves on the Board for the Maumee Valley Guidance Center and Metropolitan Housing Authority. He is presently active in Project 2020, a philanthropic initiative intended to implement a significant community project in the year 2020. Michael served two terms on the Williams County Board of MRDD. Mr. Shaffer prides himself on his ability to resolve cases efficiently. He attributes his successful practice to being surrounded by a highly qualified administrative staff and bright and experienced partners, all of whom are willing to work together to resolve cases in the best interest of their clients.